Getting regular oil changes is essential to keeping your car running for years to come. 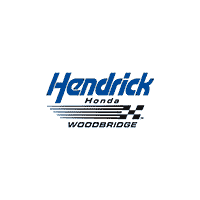 When looking for a fast and affordable oil change, Woodbridge, VA drivers choose Hendrick Honda. Our Honda certified mechanics change the oil on your Honda using only factory specified filters, gaskets and motor oil. Our skilled technicians can perform an oil change on non-Honda vehicles as well. As part of our commitment to you, we offer complimentary Multi-Point Inspections with our oil changes that alert you to potential maintenance issues with your vehicle. If you are looking for a quality oil change, you can trust Hendrick Honda to keep your vehicle running like new. Check out our money-saving oil change and service coupons and call us today at 866-507-8017 to schedule your appointment. Don’t forget: you can schedule your service online as well!